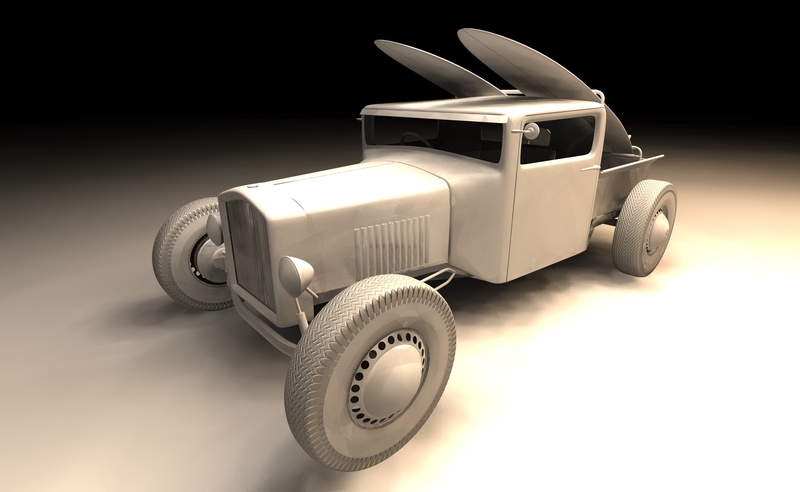 A quick model/render that I did to inspire a hotrod pickup build I am planning for the not-too-distant future. 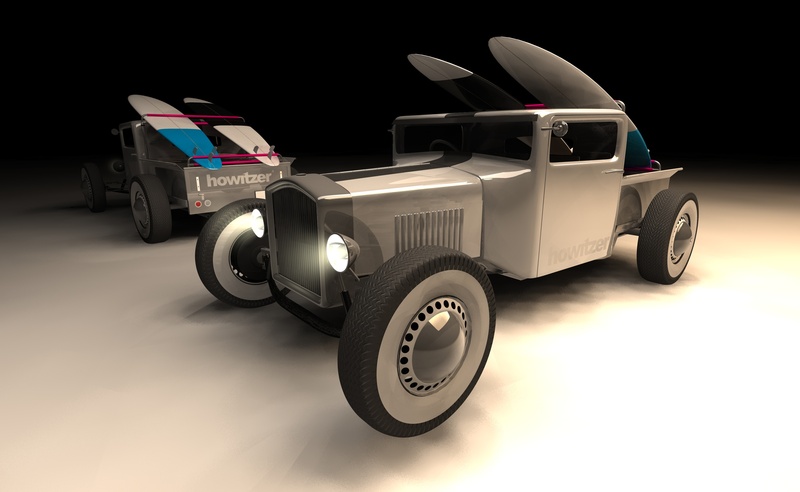 Its based on a 1929 Ford pickup. The clay model of the pickup. 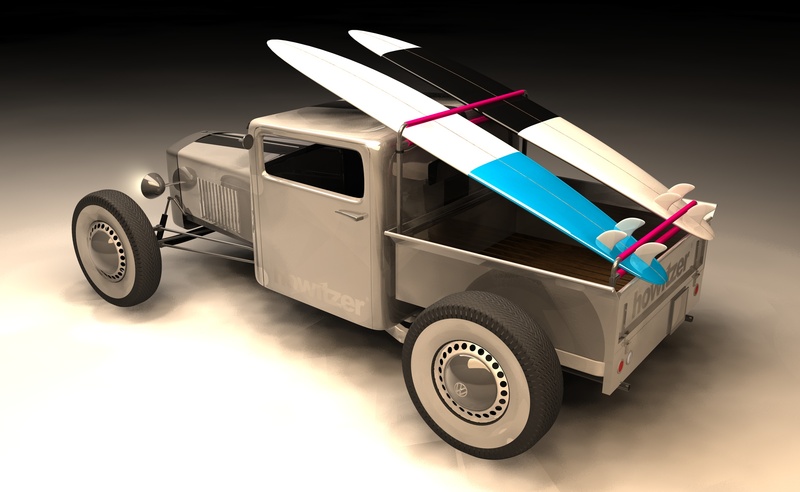 The fully textured hotrod Pickup with surfboard rack. « BST (Goldspeed) Carbon wheel / Husaberg front brake billet rotor adapter.